Ta-da! I'll be posting a dedicated thread about it here on Monday. We're thrilled to be working with Petersen Games and have some very fun stuff planned for the Kickstarter. Awesome choice of designer\publisher for sure! Cthulhu Wars rocks! I just hope there are no early birds (or if there are, they are the pledge in the first 24\48 hr kind)! 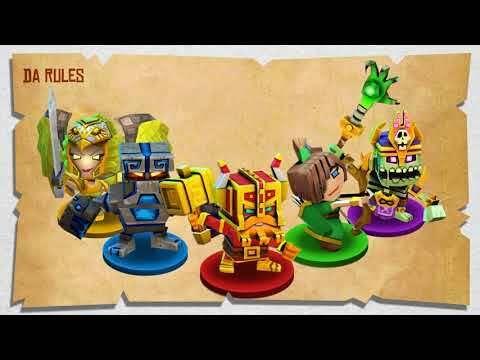 If you want new heroes, will they cost as much as the mobile game or can you mine tokens? 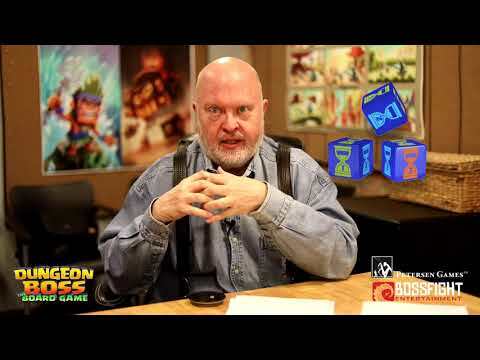 Ive backed many board / card games over kickstarter as well as PC games. Board games have almost always delivered even with slight delays . PC games , I have a few backed projects that are tremendously behind schedule with far and few updates on progress. In the end I love having collectible physical board games with many pieces and accessories . Watching the video , it was said That the higher the tier you back the more figurines and boss battles you will get. We will see what they mean by this in a few days ! Very excited, @Joel exclusive skin for a hero redeemable at a certain tier yes ? I cannot comment on any specifics until the Kickstarter goes live on Monday. Glad to see this was mentioned on the forums. I'm confused. Everything comes in the box, but backing it will get you more characters and bosses? So... everything doesn't come in the box. "More bosses- that's kinda out specialty"
errr, how many different bosses are there in DB? really only a few, the rest of derivatives of existing toons. So are you saying your specialty is taking a low level toon and adding a buff or two and calling it a boss? And just like the real game, every new hero only cost $9999.99.... epics not included in that price. For $249 you get a Leo Skin. @shiggity80 Every player gets the skin once it is funded, yes. Did you take a look at what the pledges contain? It has an Epic Boss never before seen. Ouch. $100 minimum for a board game. Seems a little high. Bonus 800 VIP points? Ouch. $100 minimum for a board game. Seems a little high. Yeah, definitely pricey compared to like Monopoly or something. However, I wonder how it compares to other strategy games like Warhammer or something. Are those types of games also at this price level? So is "Heila Bladestorm" currently in the game? Asking cause I haven't finished all the Boss Mode levels, so maybe she's in there somewhere? No, she’s not in the game. I think this is a hint of future content. Helia looks like she would benefit healer team or Zen. Is this Abigail's sister? New legendary green hero.... perhaps. She looks Light or Fire if anything. But maybe also Flying like Zen. Perhaps while Zen represents peace and calm, she represents war and destruction? Potentially a new hero, I hope. Maybe they’ll have synergies with Zen, Takumi, Sifu, Yoko, and the other western-culture-inspired heroes. Black Diamond’s primary ability is called Blade Storm. Maybe she and Helia are related? It's going to be an epic boss in the board game and probably the game. Maybe it could be a 3-month-apart event where if you beat her you get her tokens. This would be a cool new way to earn heroes instead of "oh here's some doors for a free hero" or portals, year-round dungeons, or stores. 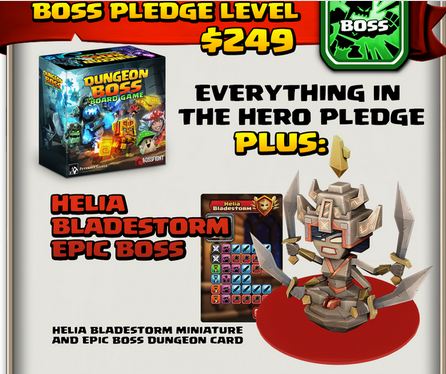 What if they ARE related and that's the new nature hero, a warrior rogue that buffs all the other rogues, is stronger defensively AND the skin of Helia in the board game is ACTUALLY an unlockable skin and not what the original Helia looks like? BUMBUMBUUUUUM! I'd sign on if they maybe went back to the old daily quest rotation. 1 Gem per 25 XP isn't worth playing this game.